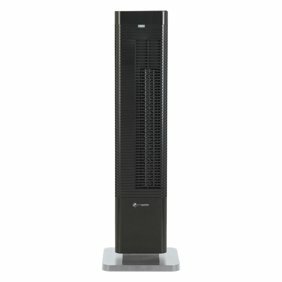 This BLACK+DECKER stand fan is the perfect addition just about anywhere in the house where increased air flow is a necessity. You have three speeds to control the spin of the durable, 18&quot; blade and flexibility abounds with the ability to also adjust height and tilt all in addition to the ability to oscillate. Simple, front-panel controls will provide that much needed relief in seconds. This BLACK+DECKER stand fan is the perfect addition just about anywhere in the house where increased air flow is a necessity. You have three speeds to control the spin of the durable, 18" blade and flexibility abounds with the ability to also adjust height and tilt all in addition to the ability to oscillate. Simple, front-panel controls will provide that much needed relief in seconds.